Please call in or telephone the surgery during surgery hours. You may choose to see any doctor within the Practice. You may also book an appointment with a doctor online via the link at the top of this page (registration required). To complete the registration process you will need to bring proof of address and photo ID into the surgery. We do not make online appointments available with our nursing team as they all have different skill sets. Please call the surgery if you would like to make an appointment with one of these staff. We reserve some GP appointments each day for emergency cases. We define emergency cases as “a situation or occurrence that demands immediate action”. An emergency situation or occurrence will have arisen within the last 24 to 48hrs. On-going problems or chronic problems are not deemed as an emergency, unless the problem has worsened within the last 24 to 48 hours and requires immediate action. Requiring a fit note or running out of pain or anti-depressant medication does not merit an emergency appointment. Patients are encouraged to make their next prescription appointment in good time to avoid running out of medication. 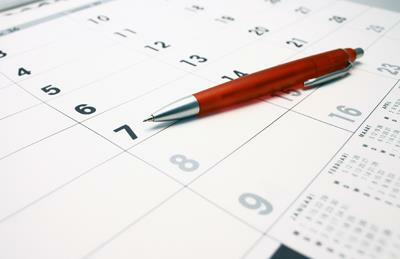 Emergency appointments must be booked in sequential time order. They are released at 8am each morning when we open and you will be allocated the next available appointment. Reception staff have been instructed by the Practice to ask patients who request an emergency appointment for a brief description of the problem, this enables reception staff to allocate patients to the most appropriate health care professional, improving access to our services and avoiding any unnecessary delays. We try to keep to time with our appointments but sometimes delays are unavoidable. You can help us by only discussing one problem at each consultation, rather than saving them up. Please make separate appointments if more than one member of the family is to be seen and telephone to cancel if you are unable to attend. Sick children will always be seen as soon as possible if brought into the surgery. This will be quicker and safer than a home visit. The Health Centre offers pre-booked appointments on a Monday evening and a Thursday evening for those patients who find it difficult to attend normal surgery hours due to work commitments. Please see surgery hours for further details. Firsway is the hub for the Trafford Central neighbourhood. This means that patients who are registered with a Trafford GP can be seen at our practice for GP, Nurse and Phlebotomy appointments. Please contact your own practice to book an appointment. Should you simply wish to speak to the doctor for advice, the receptionist will be pleased to arrange a convenient time for you.